The 2015 San Diego County Fair takes over the Del Mar Fairgrounds from Friday, June 5, at 4pm, to Sunday, July 5 (closed Mondays, as well as June 9 and 16). This year's theme is A Fair To Remember, which will commemorate the centennial anniversary of the 1915 Panama-California Exposition held in Balboa Park and the great traditions and inventions arising from fairs. There is plenty new to experience for this year's San Diego County Fair, which attracts more than 1 million visitors over 25 days. This year there will be a multi-course farm-to-table dinner, live concerts, an Asian Festival, a cocktail competition, both craft beer and spirit festivals and even a special Taste of the Fair sampling event! On Friday, June 5, the San Diego Fair kicks off with the O’Brien Gate Opening Ceremony at 3:30pm with the American Flag raising ceremony followed by music, surprises, celebrity guests and a big welcome party, as well as reduced-priced $4 tickets available at participating Albertsons and Vons stores for 6/5 and 6/6 (with $10 purchase; discounted tickets are not available at the fairgrounds). On Saturday, June 6, from 4:30-7pm, the San Diego County Fair will host a special Farm to Table Dinner, offering an unforgettable dining experience in the beautiful Paul Ecke Jr. Flower & Garden Show. The event features a five-course meal paired with award-winning wine and beer from The Toast of the Coast Wine Competition and the San Diego International Beer Competition. Barry Schneider, Executive Chef for the Fairgrounds and the Del Mar Thoroughbred Club, and participating local farmers, will describe each dinner course and beverage pairing at this exclusive dining experience. Only a few tickets remain at the cost of $125 per person and are available for purchase online at Enviro Fair. On Sunday, June 14, the fair will celebrate Asian and Pacific Islander cultures at the 2015 Asian Festival, taking place at the Del Mar Arena. This day-long event will feature Asian culture, food, music, dance and martial arts performances, as well as fashion and local community organizations representing China, Philippines, India, Korea, Japan, Polynesia, Indonesia, and Vietnam. The Asian Festival will also be the setting for the ever-popular Best Dance Crew Contest, featuring hip-hop performances from groups based in the San Diego and Los Angeles areas. This special day of celebration will also feature DJs and will end with a concert the entire family will enjoy. 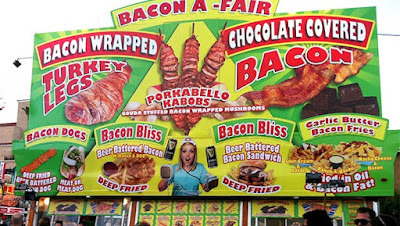 The San Diego County Fair is known for its crazy culinary creations. This year, the vendors are introducing crazy new items like a fried Slim Fast bar, fried pickle and peanut butter bites, a fried cheesesteak (our favorite by far) and more. 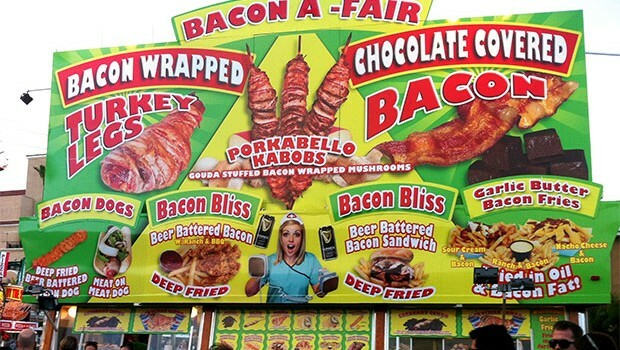 Those interested in getting the biggest bang for their buck should be sure to attend on June 23 and 30 (until 5pm) during Taste of the Fair when attendees can get $2 taste-sized portions of popular fair foods. 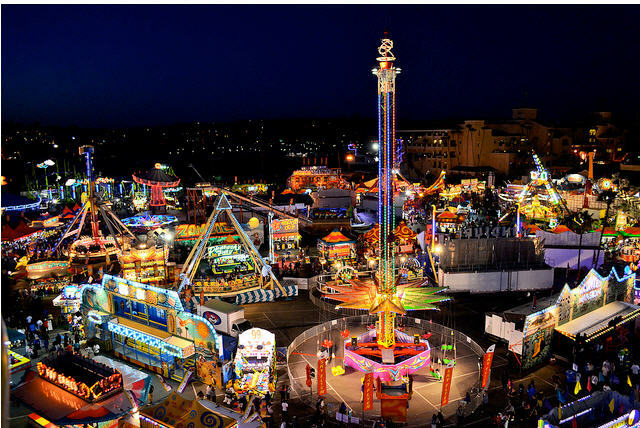 This year's fair will also feature an eclectic schedule of entertainment, including live performances by KC and the Sunshine Band (6/5), Peter Frampton & Cheap Trick (6/10), Gregg Allman (6/18), Switchfoot (6/19), Kansas (7/3), comedian Dana Carvey (7/4) and more. There will also be an International Beer Fest on the weekend of June 19-21, as well as a whole host of other shows including a demolition derby, monster truck rally, horse show, gospel festival, bluegrass festival and others. 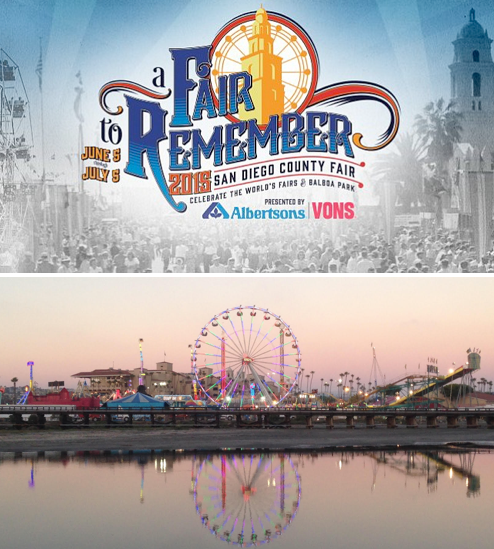 Tickets to the San Diego Fair are $15 for adults, $8 for those 62 and older, $8 for ages 6-12 (free on Tuesday) and free for children 5 and younger. This year, the fair-obsessed can get big savings on admittance with the Best Pass Ever. For $25, get access to all 25 days of the fair - a great value since adult admission is regularly $15 per day. The Best Pass Ever can be purchased online. There will also be 11 days when you can purchase a $35 wristband for unlimited rides (June 6, 7, 12, 13, 15, must be purchased online and June 10, 11, 17, 18, 24, and 25, can be purchased either online or at a fair kiosk). For more information on the San Diego County Fair and to purchase passes, visit sdfair.com. Have fun! !